Last month saw two fantastic new exhibitions open at Louisiana. 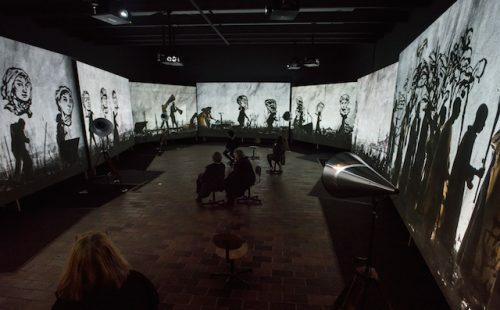 Thick Time by William Kentridge is Louisiana’s major spring exhibition of 2017 and it is overwhelmingly impressive! 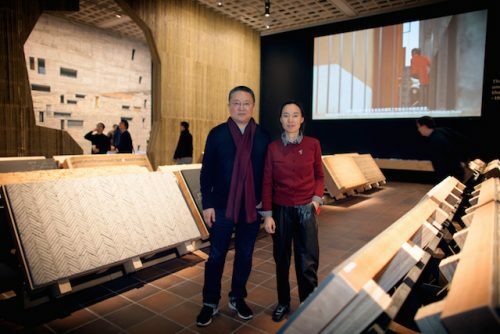 While the first exhibitor in the new Louisiana series The Architect’s Studio is the Chinese star-architect Wang Shu, and it is once again an unmissable exhibition. It’s pretty fortunate, therefore, that you can see both for the price of admission. 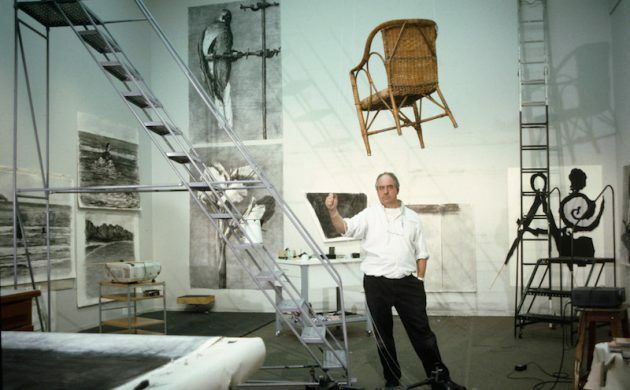 Born in Johannesburg in 1955, William Kentridge was raised during the period of Apartheid. The artist grew up between different worlds. While his parents were of Lithuanian-Jewish heritage and lived in white neighbourhoods, they were lawyers who specialised in helping those marginalised by the societal segregation, and this greatly influences his work on the impact of colonial history and various revolutions. 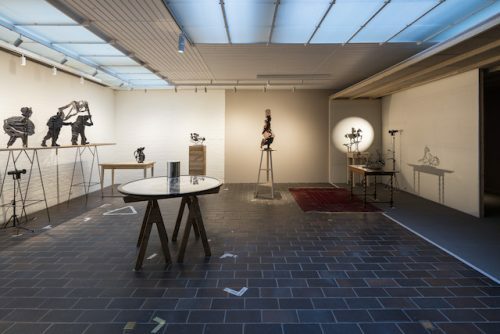 Thick Time includes film installations, sculptures and even machines and steel sculptures produced between 2003 and 2016 – some of his drawings are explicitly for the exhibition in Louisiana’s west wing. Introductions to the artwork are provided by short films about the abolition of apartheid in South Africa. Kentridge once said: “I think this is what fascinates me – how we look at the world,” and the faces and figures depicted in his works are definitely fascinating! Nowadays Kentridge is known for his large video installations that characterise his artworks of the past 15 years. The impressive installations combine painting, dance, music, sculptures and text. The viewer is surrounded by multiple screens and it initally seems impossible to gain an overview of what is happening – or even understand it. The installations offer space for various interpretations and thoughts, as well as discussions. Kentridge’s latest processional artwork, More Sweetly Play the Dance (2015), is an illustration of all kinds of moving people and accompanied by a brass band. The participants – among them political demonstrators, farmers and those afflicted by disease – are covered in darkness and shadows (most of his works are in black and white) that depicts their position in life. The processionists carry diverse symbols and objects that reoccur throughout the exhibition: birds, megaphones, figures, books and more. 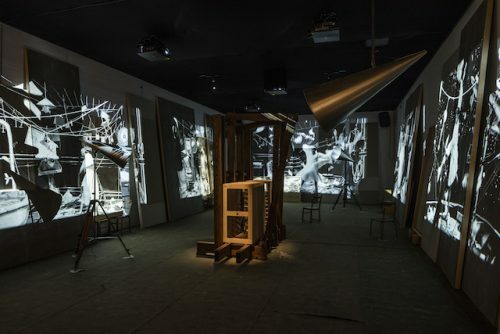 Inspired by a dialogue with Peter Galison, Kentridge created the film installation The Refusal of Time (2012), in which the concept of time is questioned with a sense of humour. Nevertheless, visitors are subjected to quite an ordeal while observing the work as mechanical noises, emanating from a wooden machine in the centre of the room and ticking metronomes, assault the auditory senses. The unrest illustrated in the artwork directly spills over onto the audience – so better grab a chair and rest while your mind goes crazy! The theatre piece Right Into Her Arms (2016), based on the unfinished opera Lulu, themes the constitution of human desire by screening words and figures on a moving canvas. Again music accompanies the piece and the moving screens seem to dance together. The addiction to books is obvious in Second-hand Reading (2013), in which suddenly all the familiar symbols and objects occur on paper next to writings and an illustration of the artist himself. 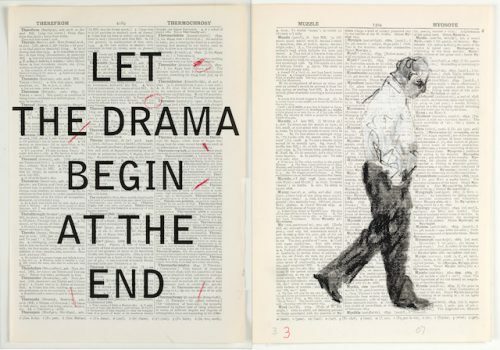 Especially this piece reveals the non-perfect character of Kentridge’s art, which makes the work so appealing and gives the viewer the feeling of being part of the art-creating process. Kentridges’s art is a mix of everything: the exhibition includes film works, drawings, sculptures and machines. The visitor is surrounded by so many different influences, which in my case ended in a mental overload, and the film installation of Kentridge’s studio yields deep insight into his art and mind. The exhibition is full of surprises and I really recommend you join Kentridge and his perspectives for a day! Born and based in China, the artist and the studio – co-founded by his wife Lu Wenyu – aim to maintain Chinese traditions and culture within the construction and renovation of houses. The Pritzker Prize winner is best known for his universal and timeless architecture. Whilst reusing the material from torn-down houses by the government, Shu escapes Western influences and globalisation. The exhibition contains photographs, models of his buildings and many different material samples. Furthermore, various films give a greater insight into Wang Shu’s idealistic approach of architecture. 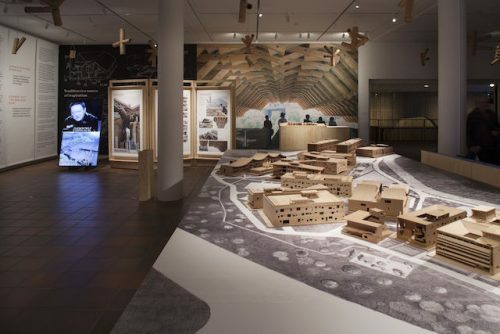 The visitor has the opportunity to understand the ambitions, processes and inspirations behind the fascinating architecture in the three galleries Amateur Architecture, Architecture as Resistance and History Reconstructed. First a huge impressive model welcomes the visitor, and the importance of landscape and nature are displayed by paintings and wooden constructions. 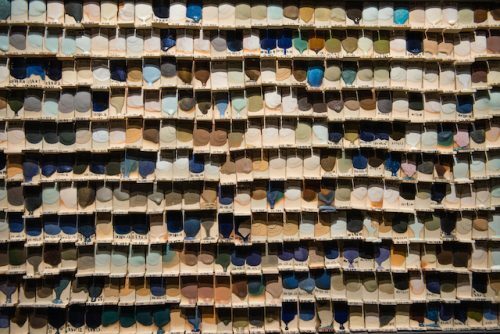 In the second gallery there are various samples where the used materials can be discovered: among them you can find colour samples, bamboo, cement and tons of bricks. With the models and the samples, the visitor gains a new perspective of the buildings and a closer look at the composition of materials. 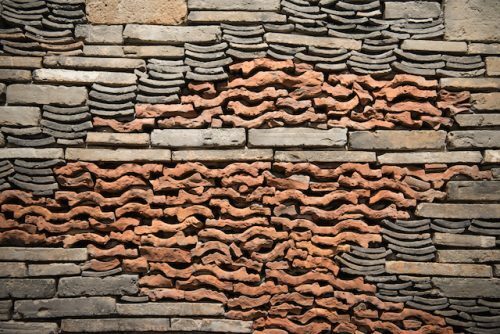 The third gallery closes up with the Ningbo History Museum – the facade is made from the material of destroyed villages. This inspiring collection demonstrates that modern architecture is not compulsorily cold and faceless, but can be a monument of history and culture. Both Louisiana exhibitions are worth a visit – inspiring and confusing but above all impressive, don’t miss them!